When traveling in a camper, where you stay is important. Of course, if you take the camper to a tourist spot, there will be hotels and inns there. However, then you would not experience the charms of your camper. 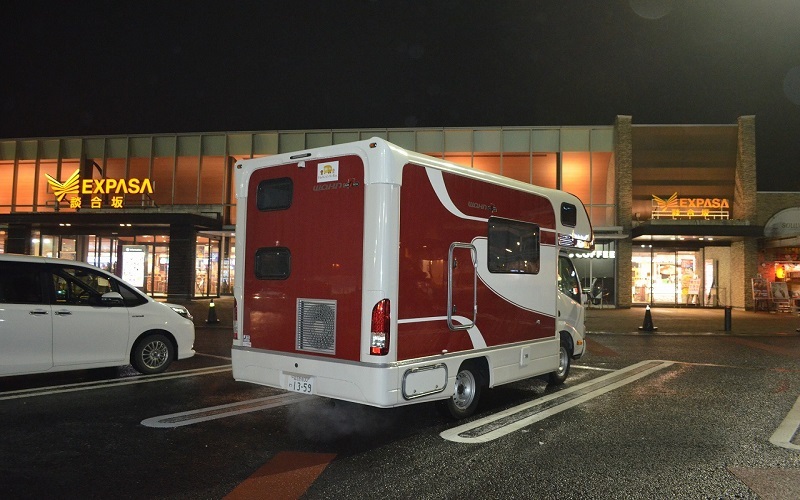 When traveling in a camper, it is best to stay at a campground where you can experience Japan’s nature, a highway service area, or a service area on a regular road (called a “roadside station” in Japan). It would be even better if there were a nearby hot spring that offers day passes. 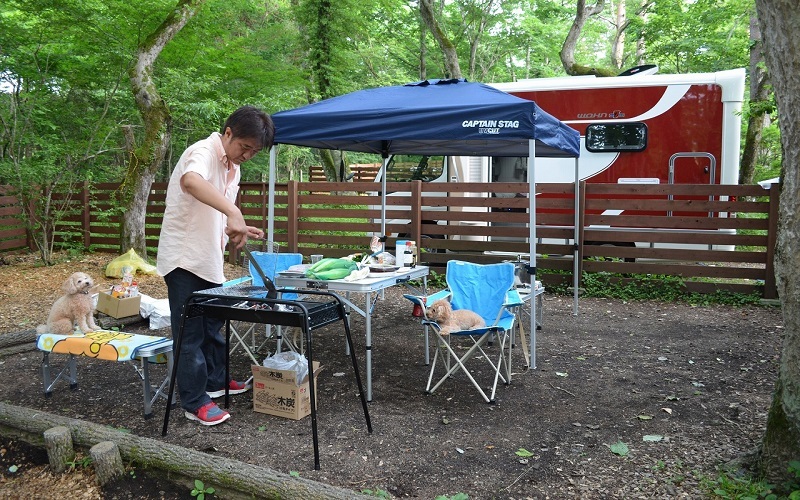 Japan has thousands of campgrounds. By just renting a place, you can stay in your camper, or you can stay in a bungalow or tent and experience Japan’s outdoors and make the memories of a lifetime. Fully take in Japan’s nature and enjoy a wonderful camper trip. 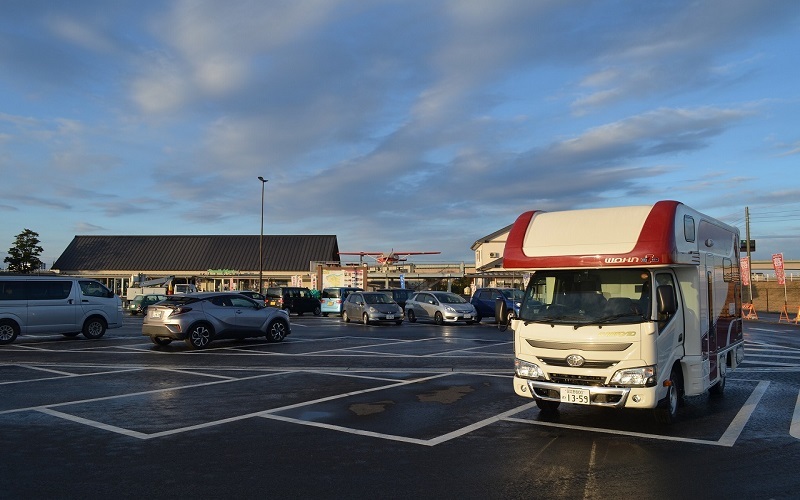 In Japan, “roadside stations” are service areas alongside regular roads, not highways, and they include restrooms, parking lots, restaurants, and more. Since they can be used for free, they are very convenient for those spending the night in a camper. Nowadays, highway service areas in Japan have all kinds of restaurants and souvenir shops, and just visiting them is enjoyable. Restrooms and parking are free, and there are gas stations so you can refuel. There are lodging facilities in the Ashigara service area of Kanagawa prefecture and the Sano service area of Tochigi prefecture. Although you will have to pay a highway toll, they are very safe places. 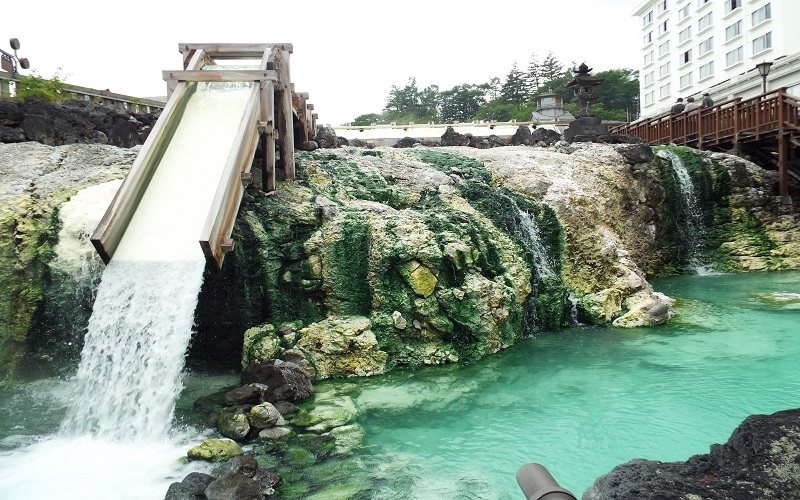 It is said that there are over 8,000 day pass hot springs in Japan that cost around 1,000 JPY. During your camper trip, make sure to find a nearby day pass hot spring at night and refresh your body and mind. It will melt away the stresses of the day’s travels and make your trip even more enjoyable.